An easy-to-use white thermostat that allows room and floor temperature to be controlled and varied throughout the day. Two sensors feedback room temperature data to the thermostat allowing a comfortable floor warmth to be achieved. 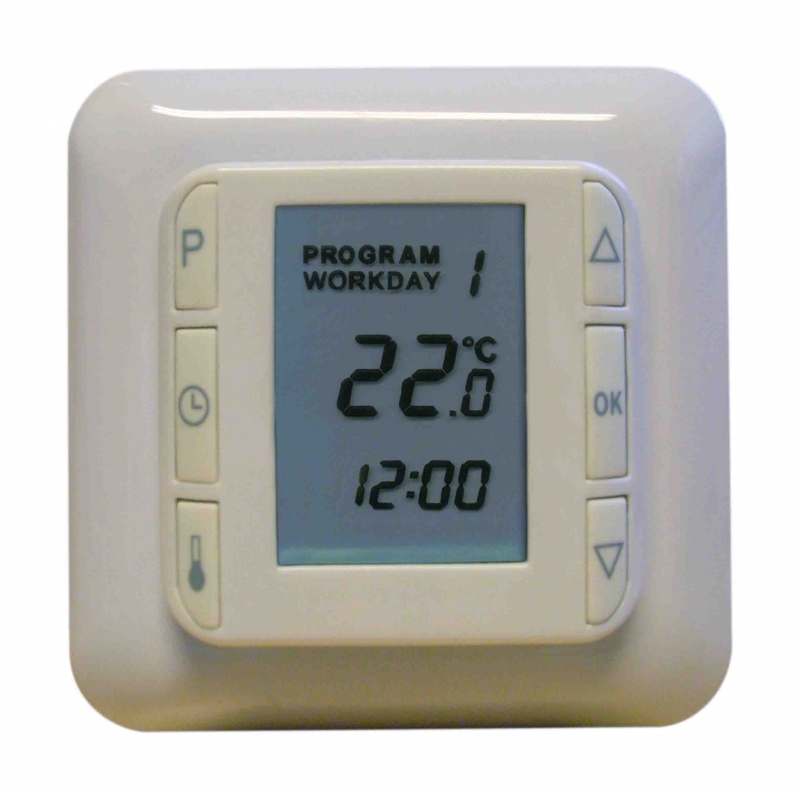 This thermostat is pre-programmed with a default setting suitable for most installations and is supplied with full programming instructions.